I recently designed this t-shirt kit as a giveaway to clients of R and R Images. In a previous campaign respondents were asked to give a website URL of their choice. 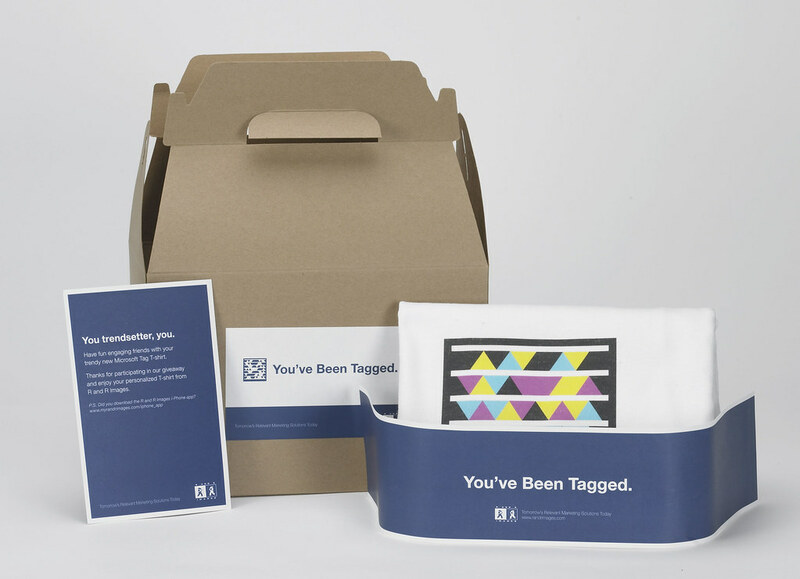 A scannable Microsoft Tag was created for each URL, printed digitally on transfer paper and ironed on a t-shirt. Sales reps from the company then personally delivered the t-shirts in this branded kit. I also wrote the tagline printed on the shirt, "Tag. You're It." and the kit tagline, "You've Been Tagged."